On a beautiful sunny day, Bob and I decided to head to the Forks of the Credit Provincial Park in search of birds that are uncommon in our own part of the province. 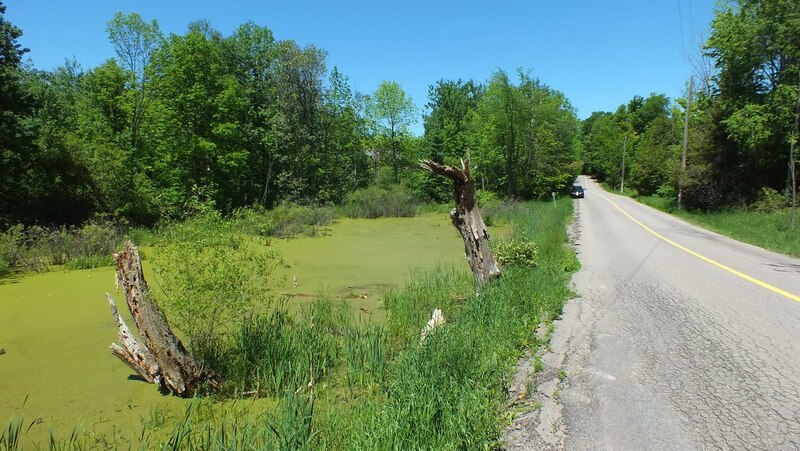 As we approached Forks of the Credit Provincial Park near Caledon, along a quiet country road called McLaren Road, a vibrant green sludge drew our eyes to a pond at the side of the highway. 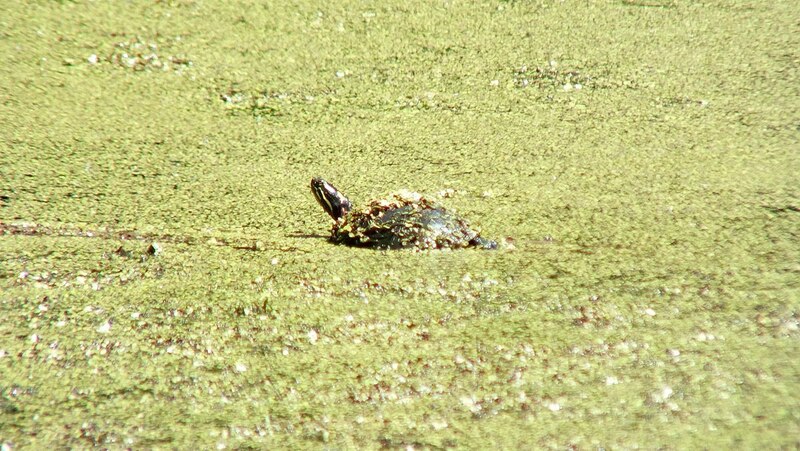 When we spotted a turtle poking its head up through the surface of the water, we had to pull over for a look. 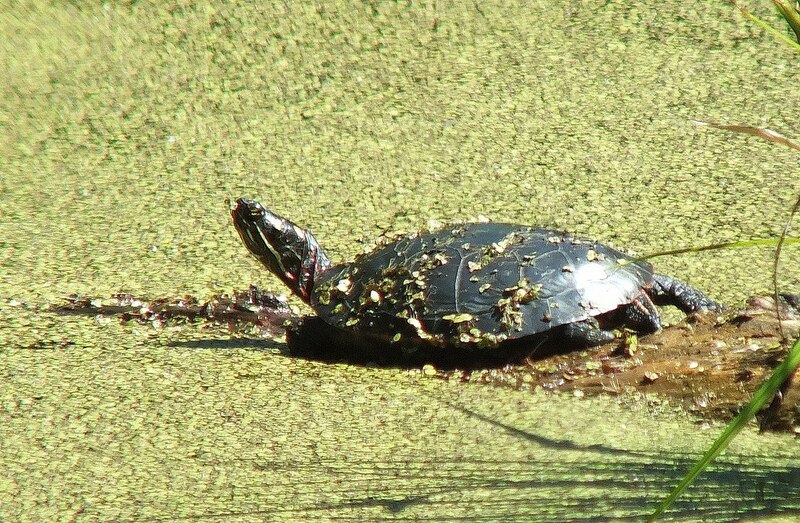 The reptile turned out to be an Eastern Painted Turtle (Chrysemys picta). 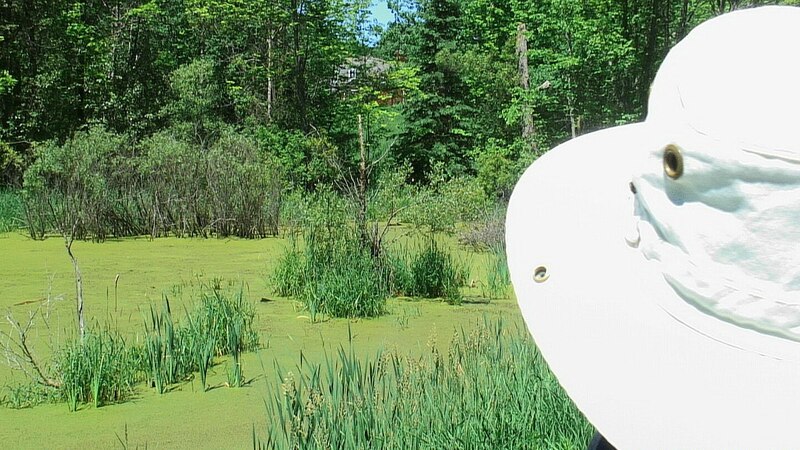 In fact, with our binoculars, we determined that there were two painted turtles seeming to float on top of the film of green vegetation that covered the pond’s surface. When we walked back to the car, we saw that another stretch of green pond filled the space below the opposite side of the roadway from the first. In our rush to get to the provincial park, we had totally missed it. 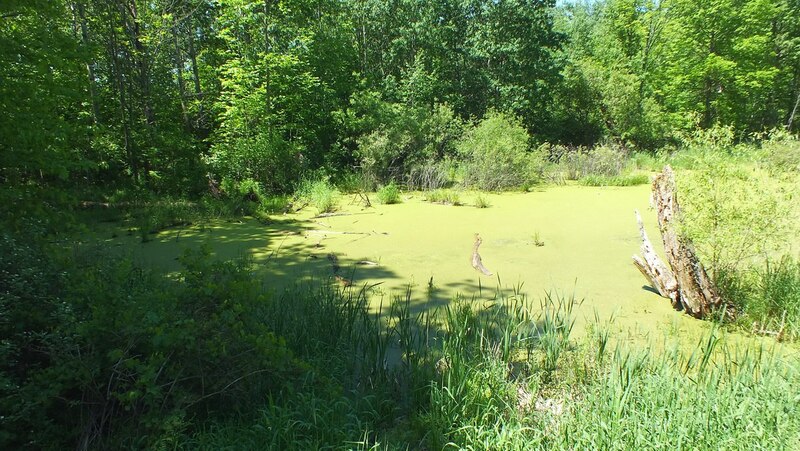 A quick walk to a spot by the end of that pond revealed many more turtles lurking in the mire. two more there. The duckweed was so thick, that in some cases, all we could see was a little head bobbing up through the masses of leaves. 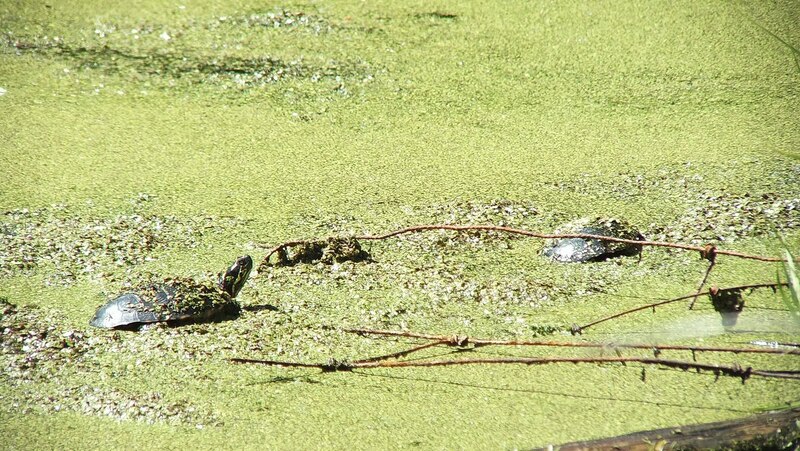 In Bob’s video, the turtles are seen sluggishly making their way through the thick duckweed. It was nearing lunch time, but Bob and I were not deterred. 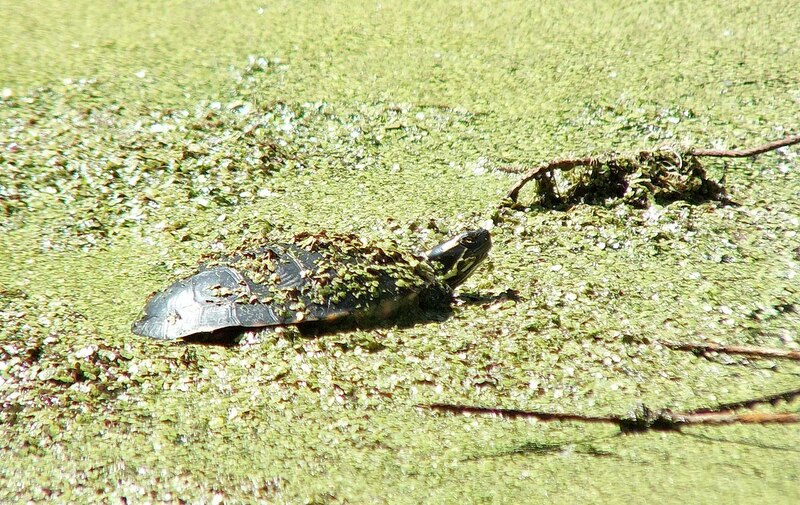 The green bog enticed us to linger in hopes of seeing some other wildlife, but other than some Red-winged Blackbirds scouring the surface of the water for insects, we just kept snapping pictures of the turtles. but Bob and I were thrilled to determine that at least several of the reptiles showed the telltale red markings along the edge of their shells. As we moved back and forth along the shoulder of the road, we began to draw attention from some of the painted turtles. 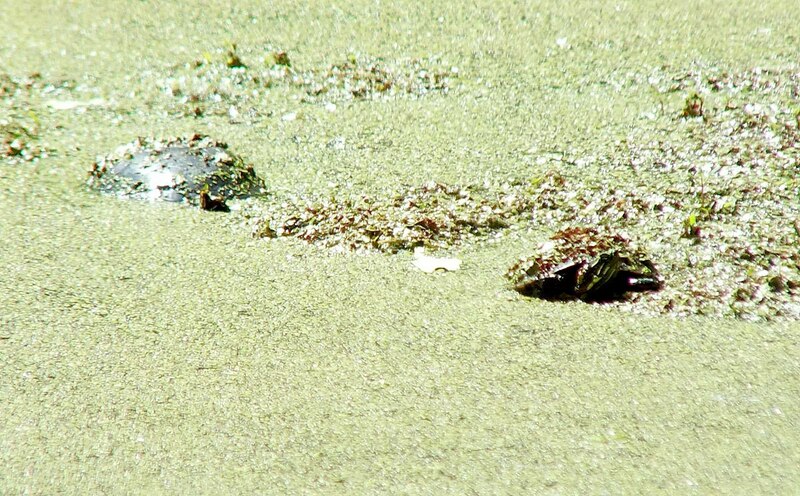 At one point, I was taken by surprise when an unseen turtle just below me in the quagmire suddenly took a dive. 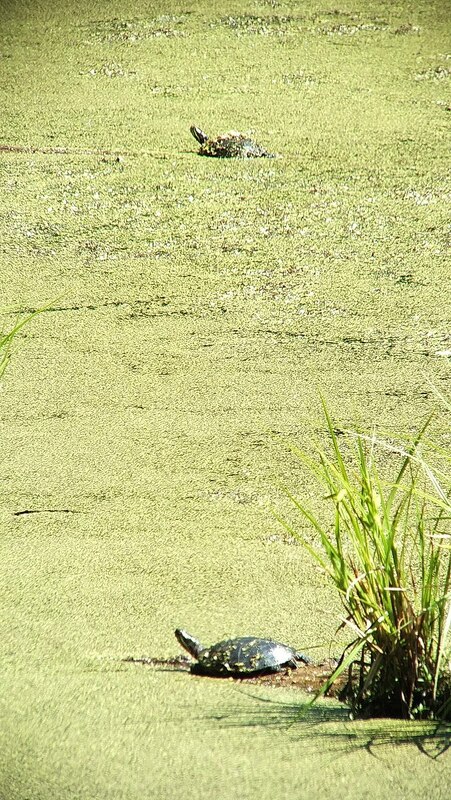 Bubbles were all that remained and a clear spot where the duckweed had been thrust aside by the turtle’s wake. 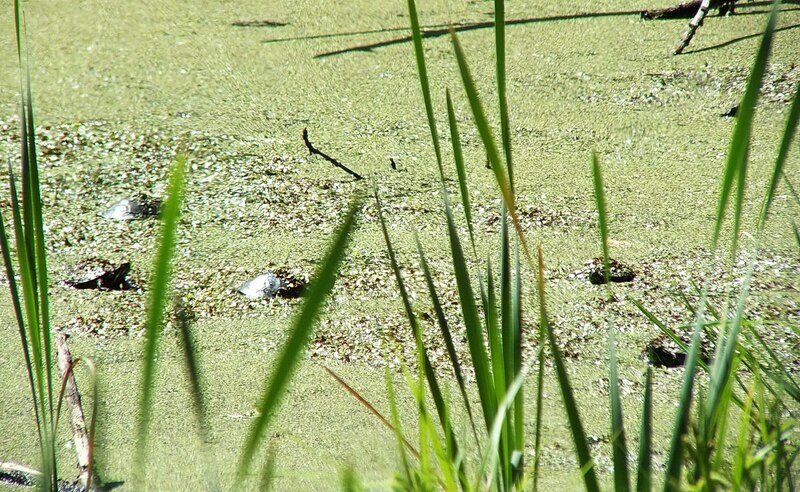 Although the still pond occupied a large area at road’s edge, no painted turtles were spotted at the furthest end. 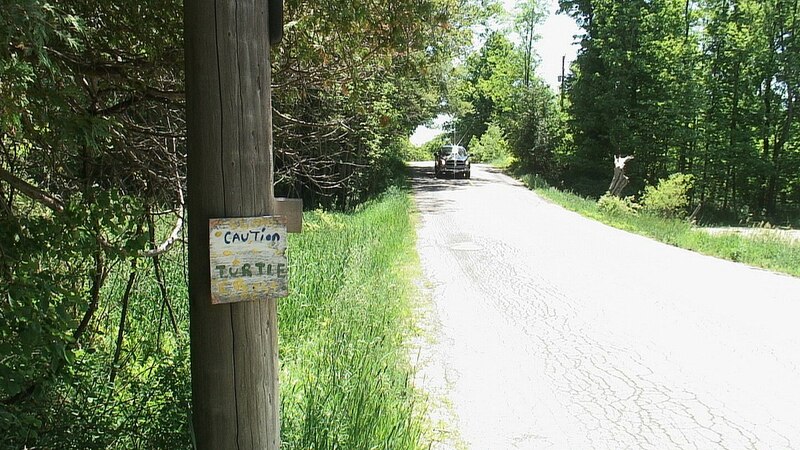 As we inched off of the road when one vehicle approached, we took notice of a road sign cautioning drivers to be respectful of turtles that might be crossing the pavement. This primitive warning to passing drivers obviously was inspired by some caring individual intent on protecting the native turtles that make those ponds their homes and breeding grounds. The sign made me smile. 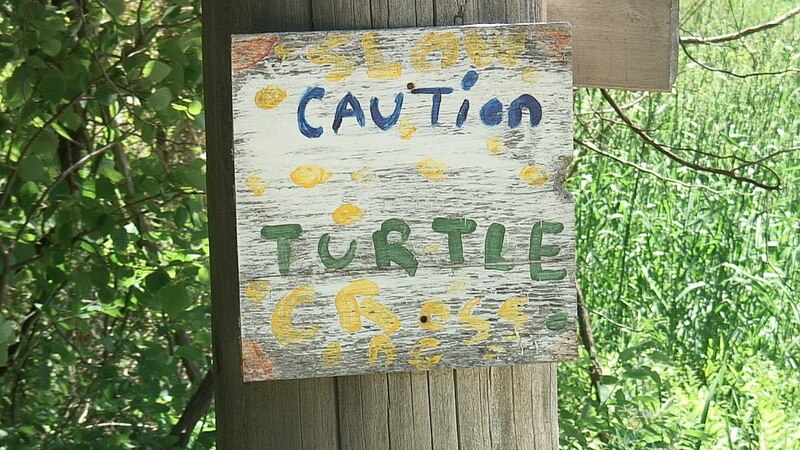 Despite its simplicity, let’s hope that the sign has resulted in vigilance by passing motorists to help ensure safe passage for all the turtles seeking one pond over the other. After a considerable length of time, Bob and I continued on our way towards Forks of the Credit Provincial Park, leaving the turtles to their daily ritual of basking in the sun. We had never seen so many painted turtles in one location before. It was remarkable. “please take the time to help. There are many skilled people and organizations that know how to nurse turtles and other wildlife species back to health and to reintroduce them to wild spaces when they are ready. It is especially important to help injured turtles because of their low reproductive success – less than 1 per cent of turtle eggs and hatchlings will survive to adulthood, and turtles can take 8 to 25 years to mature and reproduce. This means that it may take 200 eggs and up to 25 years to replace one female killed on the roadside. Please visit the Kawartha Turtle Trauma Centre and Toronto Wildlife Centre websites for more information on helping injured turtles. Super post. thank you for sharing. 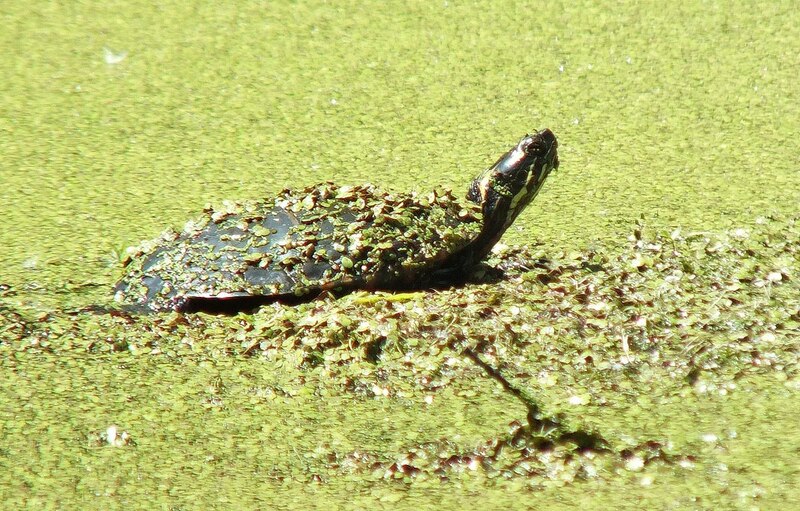 FYI- six out of eight turtles native to Ontario are species at risk. We need to protect our reptiles. Fortunately, painted turtles are not endangered. They are a favorite food for red foxes, common snapping turtles, and raccoons.